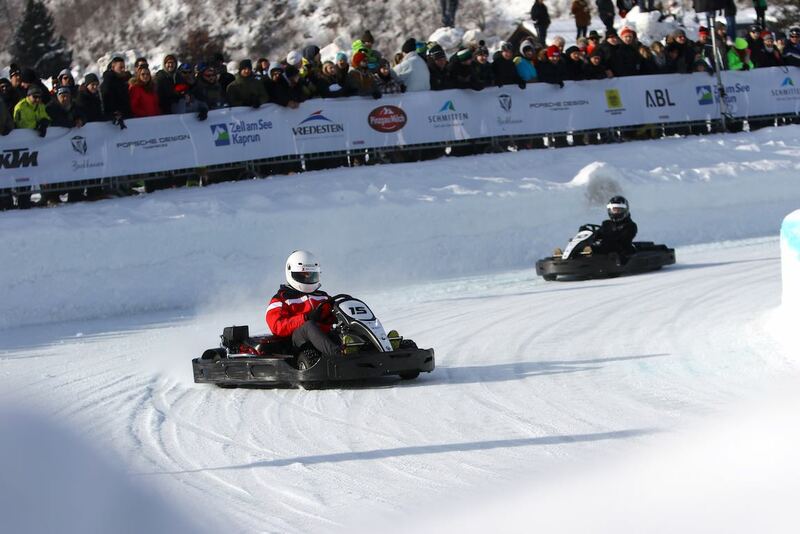 The GP Ice Race 2019 was staged 19-20 January at Zell sports airport in Zell am See, Austria. Despite the sub-zero temperatures, more than 8,000 motorsport fans enjoyed the spectacular revival of the ice races originally held from 1937 to 1974. 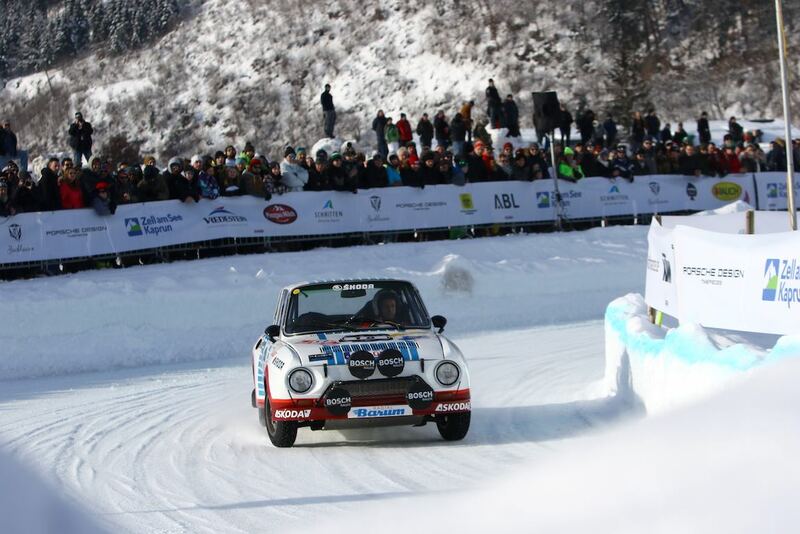 The GP Ice Race 2019 revival featured a wide array of participants, from historic to modern race and rally cars. 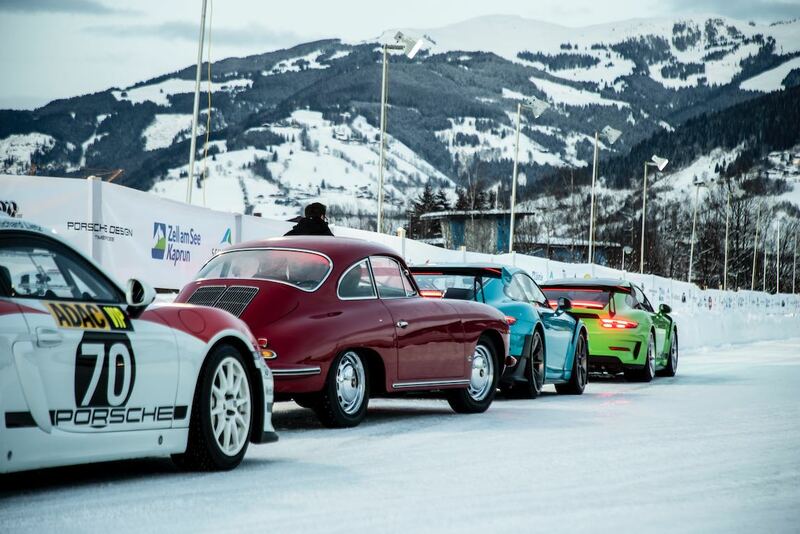 Among the roughly 130 participants who drifted around the 600-metre long ice track included Hans-Joachim Stuck, Mark Webber, René Rast, Daniel Abt and Walter Rohrl. 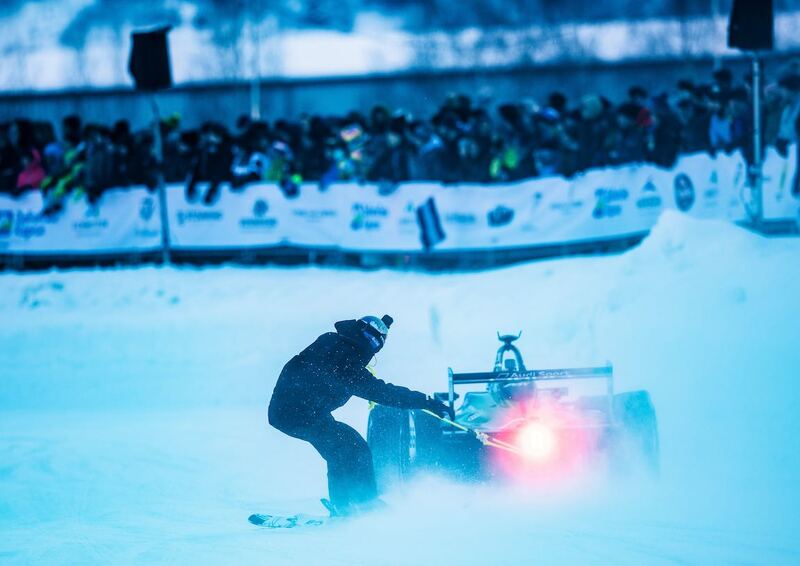 Motorsport fans also experienced the unique spectacle of skijoring — where skiers are drawn by cars around the ice track. 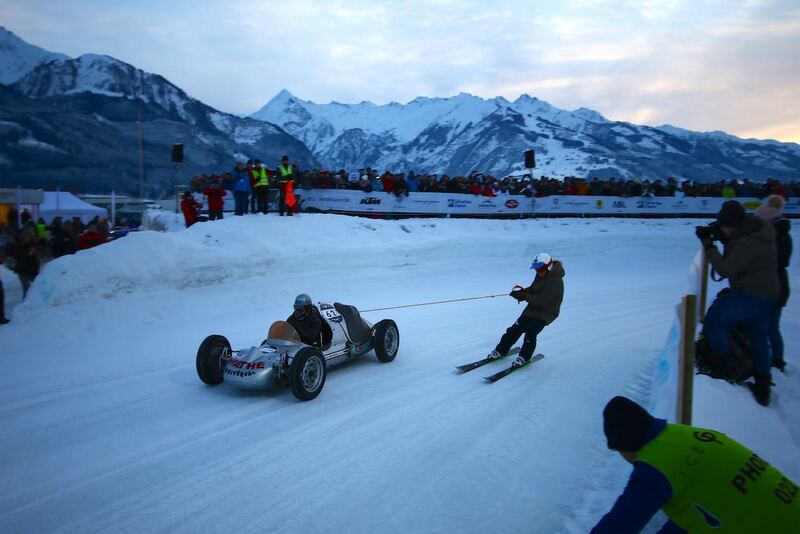 “We never expected such a great success when we had the idea to re-ignite the famous ice races in Zell am See, which have been run between 1937 and 1974, with a modern interpretation,” said Ferdinand Porsche, who together with Vinzenz Greger created the GP Ice Race 2019. The R5 category of modern rally cars saw a fierce competition between Škoda works driver and WRC 2 champion Jan Kopecký (Škoda Fabia R5) and Volkswagen’s Romain Dumas, who powered a Volkswagen Polo GTI R5 around the ice track. On Saturday, Kopecký was the quickest ahead of Dumas, Austrian Junior Julian Wagner and Günther Knobloch, both competing with Škoda Fabia R5. 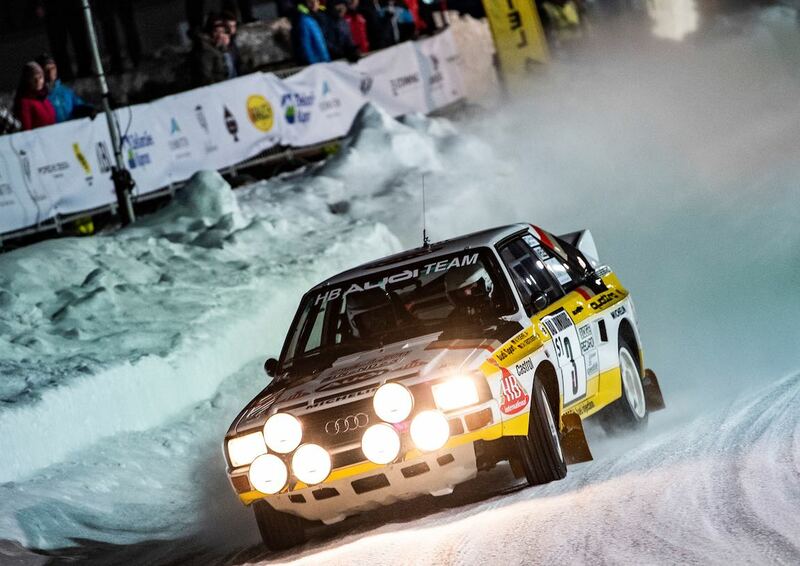 On Sunday Kopecký reigned the ice track again and conquered overall category victory at GP Ice Race. Julian Wagner finished second overall, making it a double triumph for the Skoda Fabia R5 drivers. In the group of buggies overall victory went to Josef Vögel, with Sepp Marty coming second. 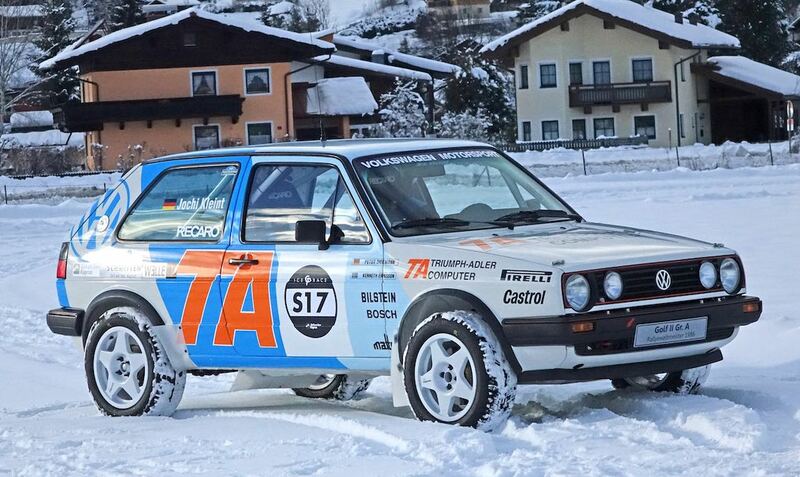 Former Austrian rally champion Kris Rosenberger claimed overall win in the category of 2-wheel driven touring and rally cars, followed by Ferdi Stuck (both KTM X-Bow). In the combined group of Old- and Youngtimers (built before 1998) Manfred Nothdurfter set the pace in a Subaru Impreza and took home victory while Alfons Nothdurfter’s Ford Sierra finished second. Skijoring champions of the 2019 GP Ice Race were driver Martin Zeller (Mitsubishi Lancer Evo 9) and skier Jürgen Stock. A Mitsubishi Lancer Evo 10, driven by Helmut Hauser, won the group of 4WD touring cars. Hauser was followed by Jürgen Stock in a Subaru Impreza. Another lightweight, rear-wheel driven sports roadster competing at the GP Ice Race was born in 1952, when race driver Otto Mathé created the so-called “Fetzenflieger”. Weighing in at only 490 kilograms, the tiny race car is powered by a 1.5-litre Porsche engine offering 130 hp. Beside the competitive races, Hans-Joachim Stuck presented the hill climb legend Auto Union Typ C from 1938 as part of a historic car exhibition. Two-time World Rally Champion Walter Röhrl gave an Audi Sport Quattro as well as a Porsche Cayman GT4 a spin. Additionally, the Audi RS5 DTM with 2017 DTM Champion René Rast and the ground-breaking FIA Formula E World Championship winning Audi e-tron FE04, driven by Daniel Abt, were present. 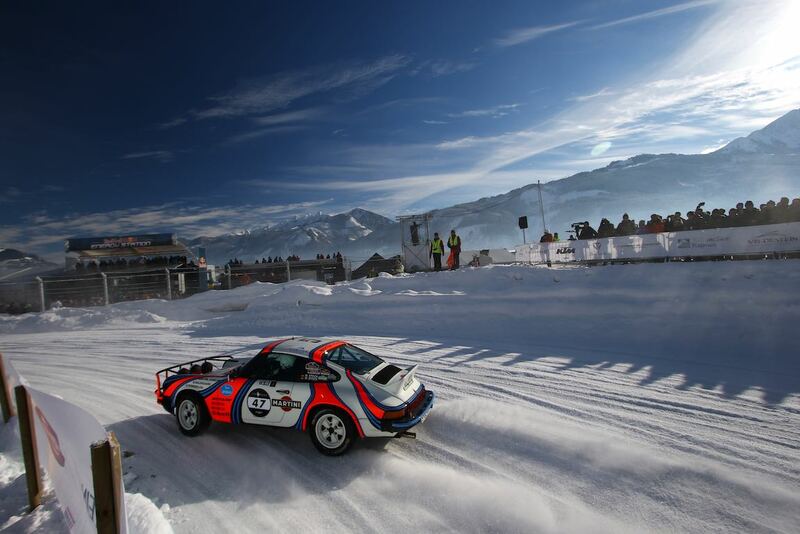 Porsche used the occasion of GP Ice Race 2019 to present the eighth generation of the new 911. For this, a helicopter flew the new 911 to the Areit-Alm high above Zell am See in dramatic fashion.